With many years of experience we are delighted to represent the best Temporary and Permanent Office Managers, Executive Assistants, Personal Assistants, Team Co-ordinators, Receptionists and Graduates. We have an excellent reputation for listening to our clients and candidates and building long-term relationships and we are always happy to offer Recruitment and Careers advice. 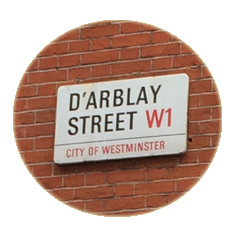 We are based in the heart of Soho in London where we provide a professional, friendly and confidential service to all our clients and candidates.